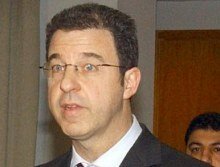 They are the words of UN analyst George Jabbour after investigator Serge Brammertz met Syrian President Bashar Al-Assad. "The meeting shows two things: that Syria is convinced of its innocence in the crime, and that Syria is committed to UN resolutions and will implement them totally." Brammertz left Damascus yesterday after spending six hours in the capital. He interviewed the President and Vice-President Farouq Ash-Sharaa seperately. Syria says it will allow 181 refugees who have been stranded at the Iraq-Jordan border. Human Rights Watch made an urgent appeal to the Jordanian government when the Palestinians became trapped between the checkpoints over a month ago. The Jordanian border was open, but when the border guards realised Palestinians and not Iraqis were coming across, they shut the gate. The Iraqi border guards wouldn't let them back in, and they've been trapped in no-man's-land ever since. The charity was not even asking for the Palestinians to be allowed to stay in Jordan - just to be allowed transit through Jordan to setttle in a third country. The aid workers looking after them have described the desert conditions they are living in as extremely harsh. It is remeniscent of the situation during the first days of the war in 2003. Jordan refused to let Iraqi refugees in, but they did allow the Red Cross to open refugee camps just inside their borders. When the refugees flooded in to the camps, they became trapped - not allowed out of the camps into Jordan, and not allowed back in to Iraq. As the most recent batch of Palestinian refugees approached the border, they were turned away by the racist Jordanian soldiers. They tried to return, but they were shot at by the Iraqis. Apparently only Iraqis are allowed in to the promised land of Jordan. UN investigator Serge Brammertz is in Damascus to interview President Bashar Al-Assad. It comes one day after Lebanese Prime Minister Fouad Siniora announced that Bashar had personally threatened Rafiq Al-Hariri, but revealed that he wasn't in the room when it happened. There have been suggestions inside and outside the Hariri camp that Rafiq lied about Bashar's threats. He was trying to deflect criticism for siding with Syria over support for Lahoud. Brammertz took over from Detlev Mehlis's inquiry into the killing of former Lebanese PM Hariri. He will also speak to Vice President Farouq Ash-Sharaa who was accused of lying to the UN commission by Mehlis. In recent weeks there have been two claims that Brammertz was on his way to Damascus - both of these proved to be false. But today, he has finally made it to the Syrian capital in a convoy of ten bullet-proof vehicles. Bashar says no question will be off limits: "They can ask whatever they like." The man who might be Iraq's new Prime Minister, Jawad Al-Maliki has close ties to Syria. Shia politicians have agreed on their candidate for PM, and there seems to be support from Sunni and Kurdish groups. 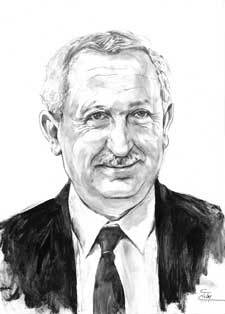 Al-Maliki fled Iraq in the 1980s and lived in Syria. He ran the Dawa party from Damascus for 20 years before returning to Baghdad shortly after the American invasion. That sets him apart from many other Iraqi politicians, who lived in America before riding into Baghdad on the back of their tanks. 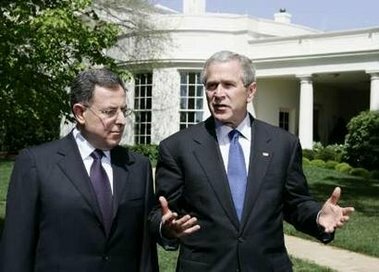 Lebanese Prime Minister Fouad Siniora has, for once, flexed his muscles and tried to get something out of his ally George W. Bush. He has, for once, tried to achieve something for his country. He asked Bush to pressure Israel to get out of the Lebanese Shebaa Farms. But the US and UN say that the land is Syrian. So Bush's response was that he should talk to Syria, not Israel. The UN has stated that the land is on Syrian territory but they've also said that Syria and Lebanon are free to set their borders between them wherever they like. Only that would set out once and for all that the Shebaa is in Lebanon not Syria. And then how would Bush respond? Fouad Siniora: "It is incumbent upon Israel to withdraw from [Shebaa], hand over the Lebanese detainees in its prisons, submit the maps of the landmines it left in the South, and stop its infringements on Lebanese sovereignty." Has the Lebanese family feud spilled into Damascus? Former Lebanese Prime Minister Omar Karami has been forced to deny that he's leading a new opposition party from Syria. "The front is made up of national figures who did not come to the national field in parachutes but were the result of struggles, sacrifices, principles and martyrs." "We welcome any means to recover our land but not at the expense of handing our will and independence to any foreign force." Karami seems to be working closely with Aoun. And we've seen an increasingly strong Aoun-Hizbollah partnership build up over the past few months. So are we seeing the emergence of a Sunni-Christian-Shia axis that could steal power away from Hariri? "President al-Asad needs to rein in his internal security forces," says Sarah Leah Whitson. She suggests that the mukhabaraat are operating with a degree of freedom. She also implies that Bashar is a moderating force in government - something that Syria-watchers have said for many years. "As long as people like these are hauled off without a charge, it is hard to believe that anything has changed in Syria." Meanwhile, there are reports that Ayman Abdul Nour - Ba'ath party reformer and founder of all4syria.org, the newsletter which points out government failures - is moving his campaign outside Syria fearing a purge of liberals. That would be another major blow to Syria's reformists. No, that's not a sick joke. 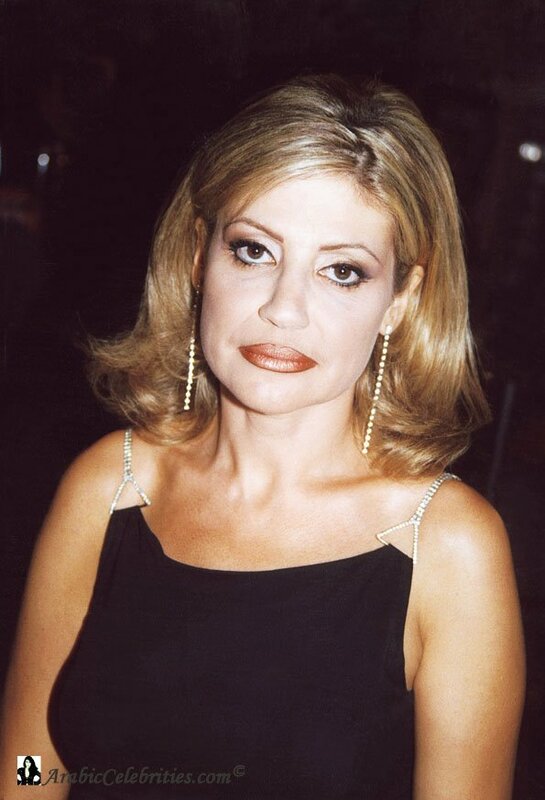 Lebanese TV presenter May Chidiac, who was almost fatally wounded in a car bomb last year, has vowed to wear stilletos. The journalist, who lost her legs and one arm in the attack, says she's not happy with the false legs doctors have given her. So she's gone to one of the best doctors in France, where else, to get plastic legs that will fit into high heels. She's happy with her new arm, which she's already shaking people's hands with. Syrian writer and poet Mohammad Al-Maghout has died. The 72 year old was criticial of Arab regimes in his work, but he received praise from both the Syrian and American governments. "Syria and the Arab world lost a giant today," the Syrian news agency said. 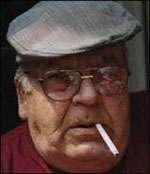 He died after a long illness. During his life he worked with renowned actor Duraid Lahm. But one of his most famous quotes was: "Policemen, Interpol men everywhere, you search for the perfect crime." "There is only one perfect crime - to be born an Arab." Is Syria becoming more or less repressive? Damascus has never been a simple city, and Syria never a simple country. But what would you expect in a country which has two cities claiming to be the oldest inhabited cities on Earth. So when Syria reforms and cracks down on dissent at the same time, it's easy to become confused. For the first time Syria is covered in portraits of Bashar Al-Assad - Bashar, not Hafez. He refused to succombe to the cult of personality when he first came to power, but now he's all over the place in dictator-like poses. But at the same time, there are more and more adverts for consumer goods. Bashar vies for space with Syriatel. Criticism of the government is more loud in the coffee shops and markets, but campaigners are being arrested on a scale not seen for years. Some see the government's willingness to crack down on a feeling that they're out of the international spotlight - they've given in on just about every international demand. George Bush and Condoleeza Rice's demands on Syria sound ever-more hollow. Serge Brammertz, the UN's replacement for Detlev Mehlis, the UN investigator into the murder of Rafiq Al-Hariri, is far less confrontational. Bashar has even agreed to be interviewed by Brammertz. There are more reformers in government than ever before, but less reform than at any point in the last two years. And then there are those traffic light timers. What's that about? Italy and Syria - friends again? The elections in Italy are underway - Silvio Berlusconi, George Bush's man in Rome - is being challenged by Romano Prodi, a former Prime Minister, and head of the European Commission. 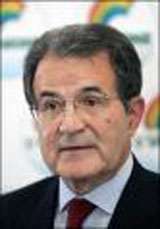 Prodi has already said that if he wins, he will immediately repair Italy's relationship with Syria: "I have the most sincere feelings of respect and appreciation to Syria as she occupies a distinguished place in addition to her constructive and very important role that contradicts what some media are trying to circulate,” he said. Italy is one of Syria's oldest European allies, and it has never fittted that Berlusconi was a neo-con-Likudnik. In fact, it never fitted that Italy held such a right-wing leader for so long. This might be the rebirth of the Italian left. And from there, stronger European relations with Syria will flow fast - especially if the Hariri investigation wraps up in the next year. Even with the current Italian leadership, Italy is one of the countries pushing for the EU-Syria Association agreement to be signed quickly - that would open up trade between the two regions. And if Prodi is elected, we can surely expect a visit to Damascus to the constanation of George Bush. And then maybe we can stop bragging about the visits of the heads of Tataristan and Potatostan.